The preparation of edamame – which simply means “soybeans” in Japanese – begins with beans that are harvested when they are not fully ripe, before they would naturally harden in the pod. Edamame can be frozen in the pod or eaten fresh. 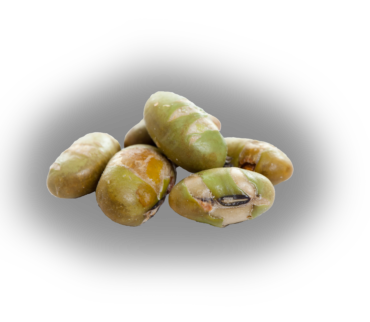 Before eating, the young soybean pods are boiled or steamed and, in most instances, flavored with salt. Edamame can also be prepared by roasting, dehydrating, and salting the soybean only, which is how Red River Foods offers the product. Soybeans are a favorite among athletes and conscious snackers as they are rich in protein, fiber and nutrients like iron and calcium. In addition, low-calorie soybeans are high in omega-3 fatty acids that promote heart health. We import our edamame from China.